Fill the Application Form with Personal, Academic, and Graduation details. 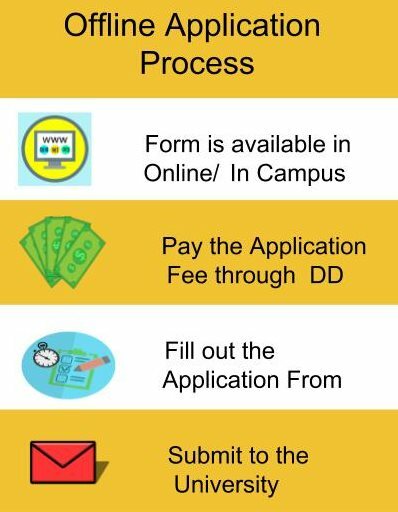 Pay the Application Fees of Rs.600/- through Online using Debit/ Credit Card or Net Banking. 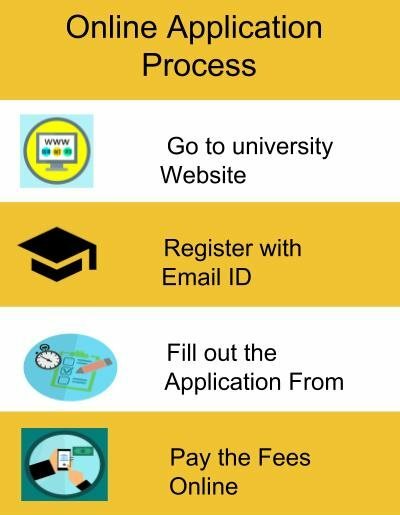 The Application is available on the Official website of the University and in the University Campus. The candidate can collect the Application from the University/ can download from the Official Website. The candidates need to fix a passport size photograph along with the Demand Draft. Pay the Application Fees of Rs.600/- through Demand Draft in favour of CSREM TRUST, Payable at Bhubaneswar. Submit the Application Form to the University before the last date. The admission process will be based on marks secured in the NATA/ JEE Main Entrance Examination. The candidate should have passed 10+2 Examination in Science stream with 45% marks to apply for Centurion University, Bhubaneswar admission 2019. The candidate should have passed 10+2 Examination with Mathematics as a mandatory subject with 50% marks to apply for Centurion University, Bhubaneswar admission 2019. The candidate should have passed 10+2 Examination from a recognised board of education to apply for Centurion University, Bhubaneswar admission 2019. The candidate should have passed 10+2 Examination in Physics, Chemistry, Biology/ Mathematics and English or relevant stream with 45% marks. The candidate should have passed BE/ B.Tech in the relevant stream from a recognised university to apply for Centurion University, Bhubaneswar admission 2019. The candidate should have appeared and had a valid score in GATE Entrance Examination. The candidate should have passed 10+2 Examination with Science/ Arts/ Commerce or its equivalent from a recognized Board of Education to apply for Centurion University, Bhubaneswar admission 2019. The eligibility criteria to take admission in Centurion University of Technology and Management is student must be qualified 12th examination wit physics, , chemistry , mathematics[compulsory subjects]. CUTM entrance exam is required to get into this college. The eligibility criteria are to secure a minimum of 70% in +2. The student need to appear for an entrance test conducted by Centurion University of Technology and Management to get an admission. The Centurion University of Technology and Management conducts an entrance exam for admission. Other exams like JIIPMER and AIIMS are preferred. There are no eligibility criteria in Centurion University of Technology and Management, [CUTM] parlakhemundi. There is no typical cutoff. Candidate must clear the JEE MAIN/CUEE exam and must have passed the 12th from the recognized institute to get admission in this college. The eligibility criteria for the admission is 60% marks in PCM. No entrance exam was required for the admission. We should clear the exam of CUTM. I have no idea about the scholarships. The eligibility criteria are to qualify for JEE MAIN exam. The admission was done on the basis of merit only.